Wireless HDMI transmitters are great products that let you stream HD video across your home. They remove the need for wires and mean that no matter where your TV is in relation to your other devices, you will be able to watch HD video. These products are, however, only just starting to gain in popularity. If you’re sick of wires and want to know more about this technology. Please read on! What Is A Wireless HDMI Transmitter, And How Do They Work? A wireless HDMI transmitter is quite simply a product that sends HDMI wirelessly. Instead of plugging a HDMI cable into your device and your TV, you plug the HDMI transmitter into the device you want to send video from (usually a PC, Blu-Ray player, or console) and the receiver into the device (usually a tv or projector) that you want to watch the content. Much like a cable, there is generally no set-up needed and once you are plugged in you are ready to go. While there are multiple connection types, such as Bluetooth and using your existing wireless network, the ones we will focus on today use specific wireless standards designed for sending video. Some of these standards include WHDI, Wireless HD, and HDBitT. If you want to send video wirelessly from one room to another, then using an HDMI transmitter is probably the best way to go. Depending on the standard you use, you can send 4K video up to 600ft with almost no lag. No other way of sending video even comes close to the speed and range of wireless HDMI transmitters. Of course, there are plenty of people who are probably quite happy to continue using an HDMI cable for their wireless transmitting needs. HDMI cables are certainly much cheaper and while it is harder to send video over such a large distance this is likely to be a deciding factor for many people. The main advantage is obvious. If you choose to use an HDMI transmitter, you can stream HD video across your home without the need for wires. This is especially useful if you want to send from one room to another and you don’t have the want or the ability to do that. It can also be used alongside an HDMI cable. For example, if your Blu-Ray player has two HDMI slots, one can be used to connect with a wire to a TV in the same room, while one can connect wirelessly to a device in a different room. Another advantage is that they are easy to use. They pretty much replace your existing HDMI cable so all you have to do most of the time is plug the transmitter into the device you want to stream from and the receiver into the device you want to stream to. Once you have done this you should be ready to go! The biggest downside is certainly the cost. Wireless HDMI transmitters are much more expensive than HDMI cables so if simply connecting a TV and a player together is your main goal, then this may not be the best way for you. Having said that, if the other option is redoing the wiring in your home then a wireless HDMI transmitter will likely be much cheaper! The other downside is that a wireless signal is not as reliable as a wired one. 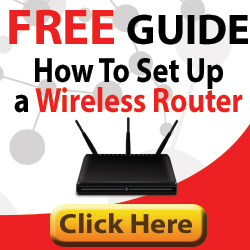 While it will be enough for most people, if you have a lot of competing wireless signals or the distance is towards the outer ends of the advertised range, you may find that your signal isn’t as great as expected. Nowadays, wireless standards often use the 60GHz channel (less congestion) and the signal range is much further than in earlier standards. Because of this, the signal you will get from your HDMI transmitter is generally very reliable. One thing to watch out for is the fact that the technology is still very much in its infancy. It is likely that one of the competing will take off leaving the other technologies in the same box as Betamax and HD-DVD. There aren’t any prerequisites other than what you would expect from an HDMI cable. Simply ensure that you have a device that can play HDMI video that has an HDMI slot (for example, a laptop), and another monitor, tv or projector that can play HD video. The only other thing to think about is that some of the transmitters on our list require a power cable (or a USB cable) to get power. As such you should ensure that you have a spare mains plug near both your devices. Also, some of them give you the option to wall mount the device which while not necessary can make them easier to use. This is a really good product that makes it simple to wireless transmit HDMI. The product comes in two parts. The transmitter looks similar to an Amazon Fire Stick and comes with an HDMI connector that you plug straight into your TV. The receiver looks like a mini set top box and comes with an HDMI port that allows you to connect any device with an HDMI out. Setup itself is easy. As with an HDMI cable you simply have to plug the transmitter and receiver into their respective ports and press play. In terms capabilities, this one has a 30 ft range (there is also a 100ft option) which will allow you to connect devices in different rooms. Of course, the more walls you have (and the thicker your walls are), the more your range will decrease. The Aries allows you to send 1080p HD video and 3D movies. As this device does not compress your video, it experiences zero lag which makes it perfect for gaming. The only real downside is that there is no option to stream 4K video as with some of the other devices on this list. All in all, though, the fact that this product supports lag-free video and comes in at a price point much lower than the other devices on this list makes it a great option for people looking to start with sending HD wirelessly. With the J-Tech device, we are upping the price range but also, crucially, the features available. Just by looking at the hardware you can tell that this is a more powerful machine than the Aries product. Its receiver and transmitter are both hefty devices. Having said that, the fact that they can be wall mounted means that this isn’t likely to be much of an issue. Both the receiver and transmitter also have huge antennas that make them look a bit like access points. Of course, these antennas aren’t just for show. They actually give the device a range of up to 660ft, which should cover all but the biggest of homes. As well as the extra range, this receiver allows 4K video to be sent at 30 frames per second meaning that if high-quality video is what you are after, this is unlikely to let you down. There will be some slight lag when using this product as the video is compressed then decompressed. While the lag is small (around 0.5 seconds for 4k), it could affect you if you mainly want to play video games or use it for live-shooting. However, assuming this isn’t the case, it is hard to find a better, more powerful product than this wireless HDMI extender. This product from iOGEAR sits in between the above two HDMI transmitters. It has a similar design to the JTech product in that both the receiver and transmitter are wall mountable, boxlike devices, with huge antennas. In fact, like the JTech, the iOGEAR can also send its wireless signal over 600 ft. Most people should have no issues with its range. In terms of performance, it allows video to be transmitted at 1080p at a massive 60fps. While there is no support for 4K, this will still give very high-quality video to those who need it. There is some lag, although it should be very minimal. The fact that this product comes at a cheaper price point that the JTech yet still offers a range of up to 600 meters makes it a very attractive prospect. The only issue would be if you really need 4K, in which case you should go with the J-Tech above. Wireless HDMI transmitters are an excellent way to stream HD, or even 4K video across your home wirelessly. If your computer and TV are in different rooms and you don’t want the hassle of sending wires across your home, then these really are the way to go. The products above offer three very different options. From a more budget friendly option (the Nyrius) that will allow you to stream HD content over a short distance, to a powerful behemoth that can send 4k for hundreds of feet (the J-Tech), the best option for you will surely come down to your exact needs. Hopefully, this article has cleared up some of the questions you may have had about HDMI transmitters. If you still have any questions, please ask in the comments section below!